Winterkorn was CEO of Volkswgaen as the group admitted in 2015 to cheating U.S. emissions tests. 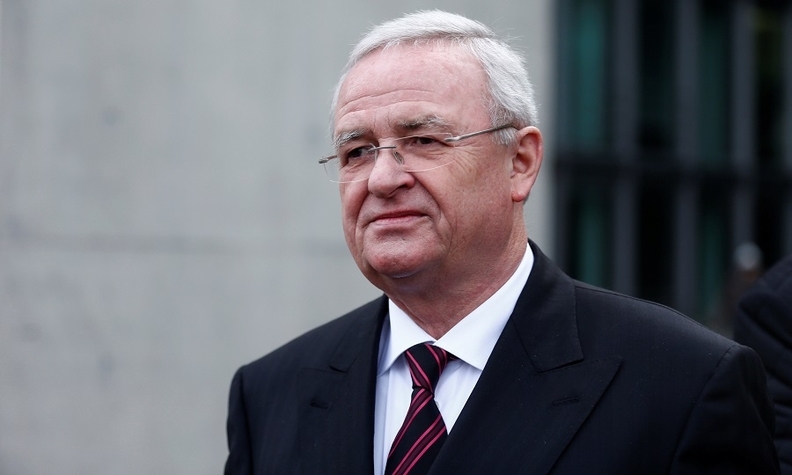 FRANKFURT -- German prosecutors said on Monday they were pressing criminal charges against former Volkswagen Group CEO Martin Winterkorn in connection with the automaker's manipulation of diesel-emissions testing. Four other executives are also being charged, the prosecutors' office in Brunswick in VW's home of Lower Saxony said in a statement. The five are charged with fraud and violation of competition law. Winterkorn failed to disclose the illegal manipulation to the responsible authorities in Europe and the U.S. and to customers. He also failed to prohibit the further installation of the so-called "defeat devices," resulting in significantly higher fines in the U.S. and Germany, the statement said. Criminal proceedings against VW over the rigged tests had already resulted in a one billion euro fine in June last year, marking one of the highest ever punitive payments imposed by German authorities against a company. The prosecutors allege that Winterkorn approved a software update in Nov. 2014 at a cost of 23 million euros, which was "useless and was intended to further conceal the true reason for the increased pollutant levels in normal vehicle operation." VW was caught using illegal engine control software to cheat U.S. pollution tests in Sept. 2015, triggering a global backlash against diesel that and has so far cost it 29 billion euros ($32.8 billion). U.S. prosecutors have already filed criminal charges against Winterkorn, accusing him of conspiring to cover up the automaker's diesel-emissions cheating. Winterkorn, 71, remains in Germany, which does not typically extradite its citizens for prosecution in U.S. courts. In a related case, the U.S. Securities and Exchange Commission (SEC) sued Winterkorn last month, saying U.S. investors were informed too late about the automaker's diesel-emissions scandal, alleging a "massive fraud". The Brunswick prosecutors said people accused of particularly serious fraud could face up to 10 years in prison in Germany. They said investigations into another 36 suspects in the diesel-emissions scandal were ongoing and it was unclear when they would be wrapped up. Winterkorn’s lawyer Felix Doerr said he could not immediately comment. The other four suspects were not identified. The Brunswick regional court will now examine the 692-page indictment and decide whether to proceed with the case to a trial. Volkswagen CEO Herbert Diess, who only joined the carmaker in July 2015 from BMW and became CEO a year ago, said he was not among those charged. "I am not among the accused. I do not expect to be charged," Diess said on the sidelines of the Shanghai auto show.